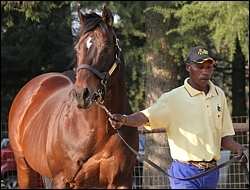 Yellow Star Stud held their stallion day on Friday afternoon in magnificent weather conditions in Mooi River, well-attended by trainers and esteemed breeders and guests. Guests were warmly welcomed with drinks and a beautiful spread before the stallion parade with guests thoroughly enjoying themselves, staying on into the evening. 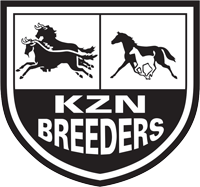 Koos and Lorraine De Klerk have assembled an impressive stallion line-up for the upcoming breeding season, welcoming the likes of Kildonan and we can expect the first KZN-bred foals from Spectrum and Tropical Empire this season. 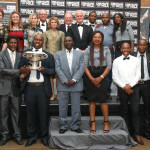 Amongst the many guests were trainers Pat and Lloyd Lunn, Chris Erasmus and Paul Gadsby, as well as Ambleway pre-training’s Jane Trotter, Robin Scott of Scott Bros, Chairman of Gold Circle Robert Mauvis, Wally Brits (Owner of Damage Is Done) and Neil Sykes of Orangewood Stud who had brought along his eye-catching son of Unbridled, Daring Bid, the only son of Unbridled on the African continent. The first stallion out was Tropical Empire(AUS), a son of Second Empire(IRE) who stood at Yellow Star Stud last year prior to his untimely death. 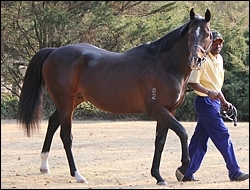 Tropical Empire has let down into a beautiful specimen of stallion, with a fine featured head and impressive top-line. By Second Empire out of Tropical Touch by Pago Pago, he arrived last season and covered his first book of mares due to foal this year. 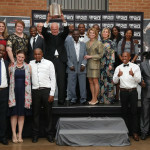 He has an impressive race record of 11 wins and 11 places and won a total of R1 185 610. His wins include the Betting World 1900 (Grade 2) over 1900m and the Drill Hall Stakes (Grade 2) over 1400m. He ran second in the Sunday Tribune Byerly Turk (Grade 3) over 1400m, the Cup Trial (Grade 3) over 1800m and Drill Hall Stakes (Grade 2) over 1400m, and a fourth in the Christmas Handicap (Grade 3) over 1600m. His foals are eagerly anticipated this coming season. The next stallion out was the impressive and very imposing Spectrum(IRE) – proving himself to be a broodmare sire extraordinaire. 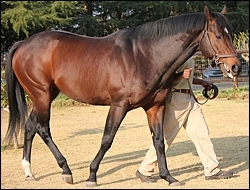 The large bay son of Rainbow Quest exudes athleticism and power even at 20 years of age, with huge hindquarters and a masculine head – epitomizing what a stallion should go on to be. 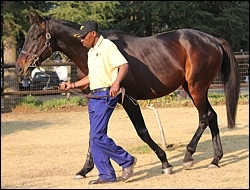 We are extremely fortunate to have a stallion of this calibre in South Africa and especially KZN, and if you are looking to improve your broodmare band for the future you should look no further than Spectrum – who has proved himself repeatedly. Out of River Dancer by Irish River, Spectrum has already got maternal grandsons at stud including Dutch Art (leading freshman sire) standing in the UK, and the recently retired Winchester – a four time Grade 1 winner in the USA and earned $1,587,098, as well as a son Golan at Coolmore. Earlier this year, Spectrum was the second leading Broodmare Sire in Uk/Ireland by stakes earned behind the great Sadler’s Wells. Spectrum is bound to leave a legacy as a formidable broodmare sire for the future in South Africa, having already proved himself overseas. Earlier this year, Spectrum’s 13 year old daughter named Ventura sold for 900 000 gns. She has produced Moonlight Cloud, winner of the Gr 1 Prix Maurice de Gheest. Spectrum is currently lying 12th on the National Sires Log by Stakes earned as well as 84th internationally as a Broodmare Sire, with some hard-knocking stallions lying behind him such as Gulch, Singspiel, Fairy King, Nashwan, Peintre Celebre and Zafonic. Proof enough that the breeders should be taking advantage of him. The stallion everyone was eager to see arrived next, a racehorse with a brilliantly quick turn of foot and speed, Equus champion Kildonan. Beautifully put together with a very good walk, powerful hindquarters and hocks that ooze power and speed, he is an eye-catching individual indeed. A murmur from the crowd as Kildonan arrived was clearly one of approval, the breeders after the parade were very excited and enthusiastic regarding his future prospects. 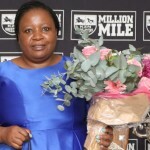 He has had two yearlings sell for R100 000 this year; Rigtersveld bred by Yellow Star Stud sold at the National Sales earlier this year and Maine Chance sold a colt named Tribute To Kylie at the 2012 KZN Yearling Sale.